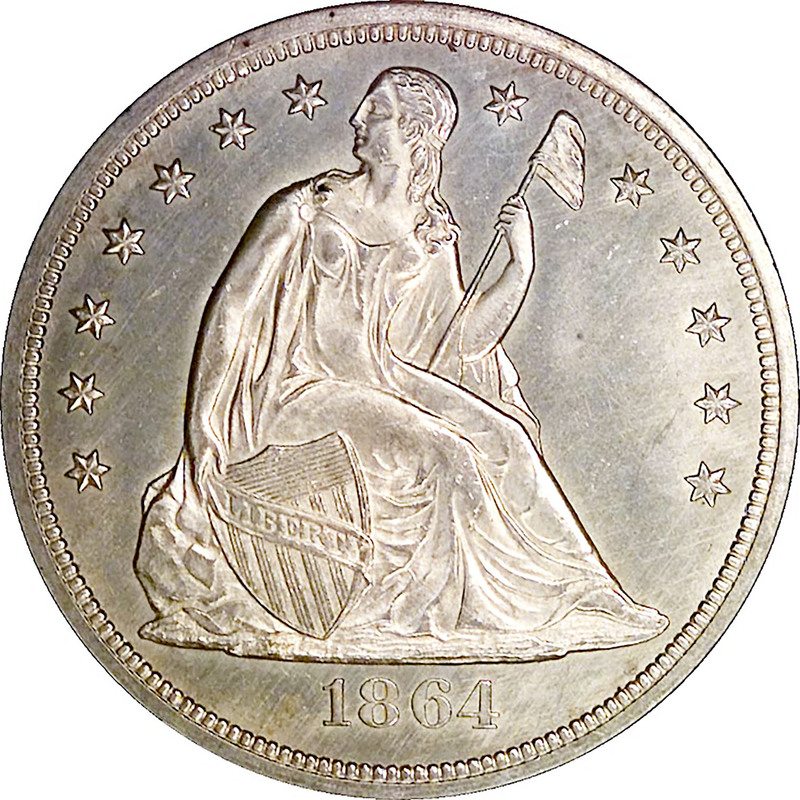 The 1864 is widely recognized as a rarity in mint condition, but the reasons why are not always obvious. Until the discovery of the Comstock Lode in the late 1850s, silver was mined in this country in tiny quantities. 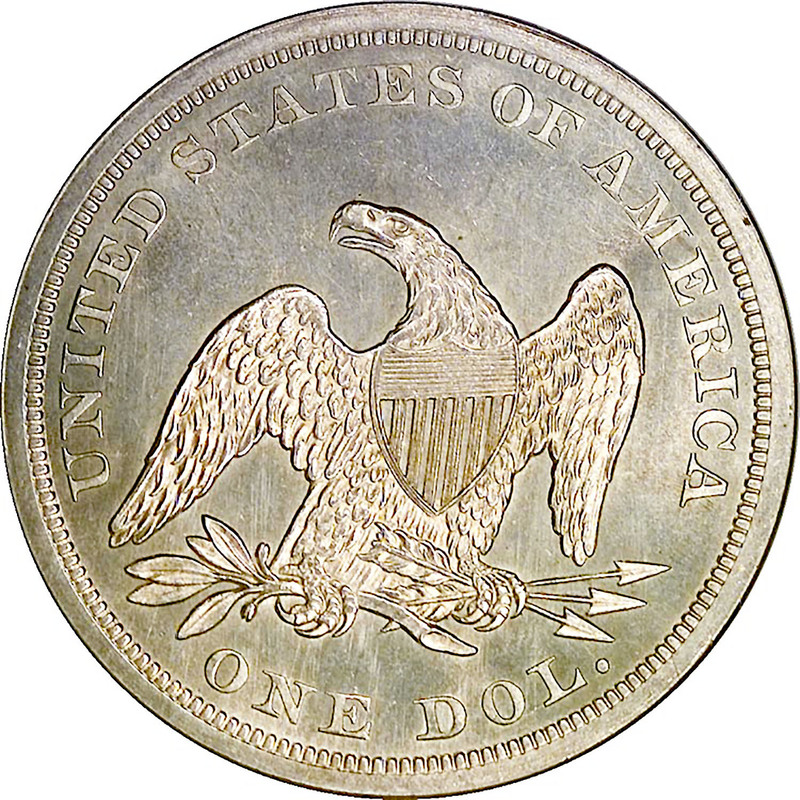 As a result, mintages for silver coins were relatively low for most denominations. 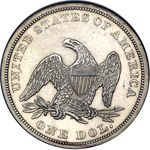 After the Comstock Lode began to flood the commodities markets with silver in the United States, mintages slowly began to rise in certain denominations and years, but not uniformly. The one complicating factor that prevented it from rising in all denominations was the Civil War. It may seem peculiar to Americans today, but in the early 1860s the outcome of the War Between the States was anything but a foregone conclusion. There was a distinct possibility in the early years that the South might actually win its independence. If it did, what would become of the North? How would Northern textile mills survive without Southern cotton? This question, of course, was answered midway through the war by the purchase of cotton at favorable prices from Egypt. 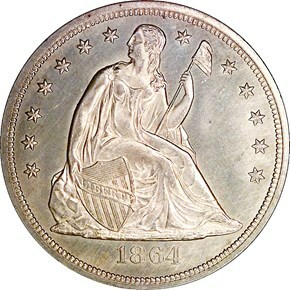 Nevertheless, there was great uncertainty on both sides of the conflict, and people's natural reaction was to hoard silver and gold when it was found (which was seldom). 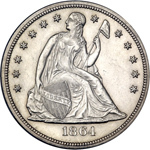 In his Silver Dollar Encyclopedia Q. David Bowers cites another reason for the absolute scarcity of this date: 'Silver dollars of the 1864 year did not circulate domestically, and their rarity today is explained by the fact that most were exported.' In addition to an absolute rarity, the 1864 dollar is also a condition rarity.